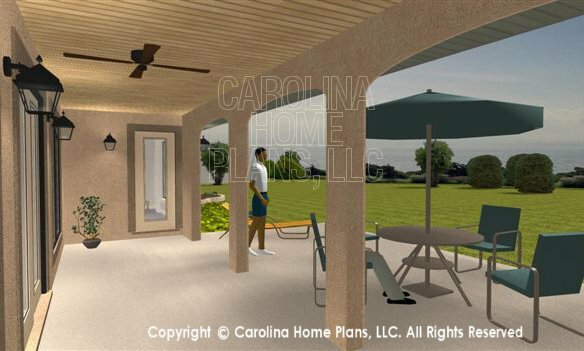 Ideally suited for either vacation retreats or year-round living, this bright and airy small home plan boasts an open floor plan for easy entertaining with convenient access to a covered porch and patio from all living areas as well as both bedrooms. Large windows enhance views and maximize interior light. 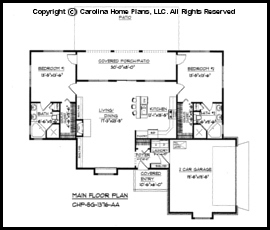 The fully equipped kitchen includes a charming lunch bar with casual seating. 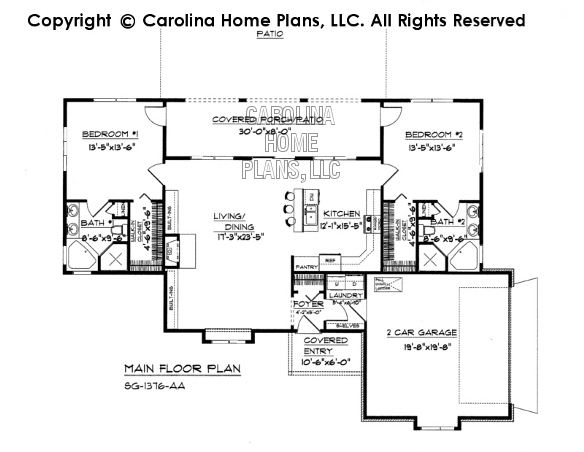 Both laundry room and 2 car garage are conveniently located for daily chores. 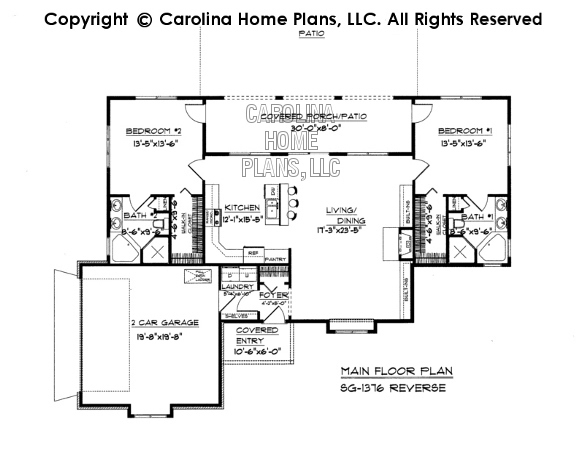 The split bedroom layout featuring dual Master Suites each with walk-in closets and baths equipped with spa tubs and showers provide flexible living accommodations. 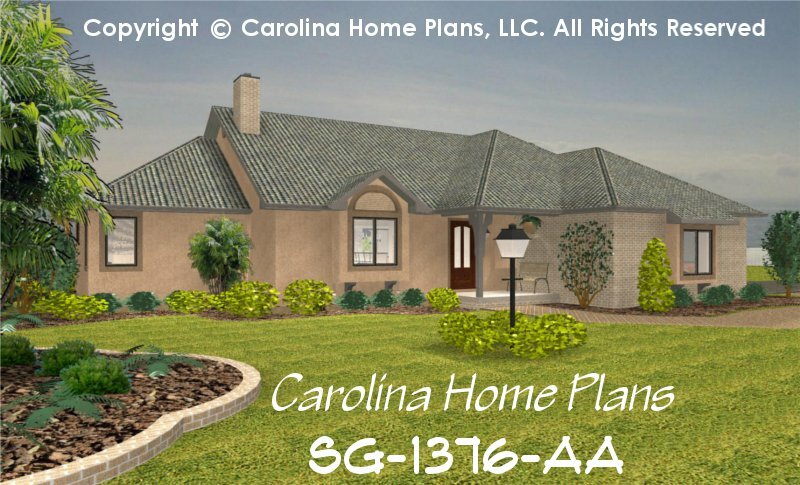 The efficiency of the small home floor plan and the standardized grid system layout make this small house plan very affordable to build. Available options and pricing: See below.